Patricia McHugh, PhD is a Postdoctoral Researcher with the Whitaker Institute at NUI Galway, Ireland. Patricias passion for achieving change and societal impact has led her to spend the last 10 years designing and implementing a Co-Creation Toolkit and an Impact Assessment Framework for Environmental Behaviour Change and Engagement. Patricias roles on European Funded Projects SOPHIE (Seas and Ocean for Public Health in Europe), Sea Change and Sea for Society involve designing and implementing Social Innovation Participation Processes (SiPP) for Change. As a result of her work, Patricia delivers behavioural change training workshops to national and international environmental organisations, marine agencies and blue health groups. Patricia has also been involved in a number of other research projects within the area of health, investigating a Healthcare Worker Flu Vaccination Strategy with HSE West and CHOICES (Collective Health Options and Intelligence for a Citizen Empowered Society) with safefood's Operation Transformation community groups. Patricia is also Leader of the SIPPs; Social Innovation Participation and Policy Unit in the Whitaker Institute at NUI Galway, where she is researching new and innovative research methodologies for Social Innovation such as Fuzzy Cognitive Mapping, Collective Intelligence, Systems Modelling, Scenario Planning, Value Network Analysis and Idea Banks. (2017) Healthcare Worker Flu Vaccination Research Study, Summary Report, Whitaker Institute, NUI Galway, Ireland. (2017) Advancing Citizen Science for Coastal and Ocean Research. French, V., Kellett, P., Delany, J., McDonough, N. [Eds.] Position Paper 23 of the European Marine Board, Ostend, Belgium. 112pp. (2018) Co-Creating a Sea Change Together: Key Findings and Reflections from the Social Innovation Assessments 2016-2017, EU Sea Change Project, Whitaker Institute, NUI Galway, Ireland. (2017) Mapping Policy Interfaces for Marine Litter, Whitaker Institute Policy Brief Series, Policy Brief No.26, October 2017. (2017) ) Mobilising a European Sea Change in Teaching 12-19 Year Olds about the Ocean, Whitaker Institute Policy Brief Series, Policy Brief No.28, November 2017. (2018) The Ultimate Immune Boost: Healthcare Worker Flu Vaccination Whitaker Institute Policy Brief Series, Policy Brief No.32, February 2018. (2017) Seas of Change: Adding Up and Interacting Out. Discovery Across Boundaries  New Approaches to Tomorrows Challenges, Atlantec Festival, Galway, Ireland. (2016) Collective Intelligence: An Innovative Research Approach to Promoting Ocean Literacies in Ireland. Whitaker Ideas Forum Seminar Series, Galway, Ireland, 5th May 2016. (2017) Sea Change. Teaching and Teacher Education in STEM Education Seminar, Limerick, Ireland, 26th May 2017. (2018) D8.2 - Final Impact Assessment Report, EU Sea Change Project, Cefas, United Kingdom. (2016) Sea Change SIPPs Guide for Sea Change Partners in Work Package 4  Where Society and Science Meet, EU Sea Change Project, Whitaker Institute, NUI Galway, Ireland. (2014) Waves of Change: Collective Design for a Sustainable Marine Ecosystem - D2.4 Global Analysis of the SFS Consultation Process from a Social Sciences Perspective, Whitaker Institute, NUI Galway, Ireland. (2018) D6.3  Revised Ocean Literacy Co-Creation Principles (Toolkit), EU Sea Change Project, Whitaker Institute, NUI Galway, Ireland. (2017) Meta-Analysis of the Consultation Reports, EU Sea Change Project, University of Gothenburg, Sweden. (2016) Sea for Society Stakeholder Structural Analysis  Human Health, Whitaker Institute, NUI Galway, Ireland. (2016) Sea for Society Stakeholder Structural Analysis  Energy, Whitaker Institute, NUI Galway, Ireland. (2016) Sea for Society Stakeholder Structural Analysis  Leisure and Tourism, Whitaker Institute, NUI Galway, Ireland. (2016) Sea for Society Stakeholder Structural Analysis  Ireland, Whitaker Institute, NUI Galway, Ireland. 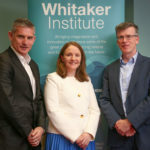 (2016) Our European Ocean Conversations: A Summary Report of the European Sea Change Conversations, EU Sea Change Project, Whitaker Institute, NUI Galway, Ireland. (2016) Sea Change Education Consultations Structural Map Scores, EU Sea Change Project, Whitaker Institute, NUI Galway, Ireland. (2016) D3.2 - National Reports on the Consultation Protocol, EU Sea Change Project, Whitaker Institute, NUI Galway, Ireland. (2016) Sea Change Co-Creation Participation Protocol for Work Package 5 - Governance, EU Sea Change Project, Whitaker Institute, NUI Galway, Ireland. (2016) Sea Change SIPPs Guide for Sea Change Third Parties in Work Package 4  Where Society and Science Meet, EU Sea Change Project, Whitaker Institute, NUI Galway, Ireland. (2016) MS20 - Review of Impact Success Year 1. EU Sea Change Project, Cefas, United Kingdom. (2015) D2.3 - Ocean Literacy Sea Change Guiding Principles Workshop, Whitaker Institute, NUI Galway, Ireland. (2015) D2.2b - Sea Change Co-Creation Participation Protocol for Work Package 3  Education & Lifelong Learning, EU Sea Change Project, Whitaker Institute, NUI Galway, Ireland. (2015) D2.2a - A Set of Sea Change Guiding Principles and Protocols. EU Sea Change Project, Whitaker Institute, NUI Galway, Ireland. (2015) D8.1- The Sea Change Collective Impact Assessment Framework. EU Sea Change Project, Cefas, United Kingdom. (2015) Manifesting a Blue Society  A Summary of D4.3, Whitaker Institute, NUI Galway, Ireland. (2015) Manifesting a Blue Society  D4.3 Analysis of Mobilisation Activities from a Social Sciences Perspective, Whitaker Institute, NUI Galway, Ireland. (2014) Sea for Society Main Outcomes: Six Issue Reports - D2.3 Six Issue Reports Analysing the Results of the Consultation Process by Issue, European Network Science Centre and Museums, Brussels. (2014) Sea for Society Issue Report on A Place to Live - D2.3 Six Issue Reports Analysing the Results of the Consultation Process by Issue,	European Network Science Centre and Museums, Brussels. (2014) Sea for Society Issue Report on Energy - D2.3 Six Issue Reports Analysing the Results of the Consultation Process by Issue,	European Network Science Centre and Museums, Brussels. (2014) Sea for Society Issue Report on Food Supply - D2.3 Six Issue Reports Analysing the Results of the Consultation Process by Issue,	European Network Science Centre and Museums, Brussels. (2014) Sea for Society Issue Report on Leisure and Tourism - D2.3 Six Issue Reports Analysing the Results of the Consultation Process by Issue, European Network Science Centre and Museums, Brussels. (2014) Sea for Society Issue Report on Human Health - D2.3 Six Issue Reports Analysing the Results of the Consultation Process by Issue,	European Network Science Centre and Museums, Brussels. (2014) Sea for Society Issue Report on Transport - D2.3 Six Issue Reports Analysing the Results of the Consultation Process by Issue,	European Network Science Centre and Museums, Brussels. (2017) Social Marketing for Health Improvement, An Introductory HSE Workshop, NUI Galway, 2nd October 2017. (2016) Sea Change Guiding Principles and Protocols Training Workshop for the International Advisory Group (IAG) and Third Party Groups of the Sea Change Project, Athens, Greece, 11th  13th May 2016. (2016) Environmental Behavioural Change Training Workshop, Dublin, 3-4 March and 13 April, 2016. (2015) Ocean Literacy Guiding Principles Workshop with the Sea Change Consortium, NUI Galway, 15th  18th September 2015. (2018) Achieving Stakeholder Buy-In, ESMA European Social Marketing Conference Pre-Workshop, Antwerp, Belgium, 5th September 2018. (2018) Stakeholder Engagement for Complex Societal Problems, 8th National Social Marketing Conference Training Workshop, Galway, Ireland, 25th May 2018. (2014) Community Actions and RARE. National Activities Workshop at the Sea Academy, Lisbon, Portugal, 16th-17th December 2014. (2014) Lessons Learned from the Sea for Society Consultation Process Workshop at the Sea Academy, Lisbon, Portugal, 16th-17th December 2014. (2018) Case Study 4: Harmful Algal Blooms iBook. Goal 6: Create innovative learning resources relating to the links between the planets ocean and human health. EU Sea Change Project, Whitaker Institute, NUI Galway, Ireland. Patricia currently contributes to the MSc. Marketing Practice Programme in terms of teaching the Marketing Research & Strategy Module. Since 2011, Patricia has delivered an annual Guest Lecture on Market Research & Secondary Sources of Data to final year students of the Podiatry Discipline at NUI Galway. Since 2012, Patricia has delivered an annual Guest Lecture on Marketing Research to postgraduate students of the Huston School of Film & Digital Media at NUI Galway. Since 2014, Patricia has been a Guest Speaker for the Social Marketing Module of the MSc. Marketing Programme. In 2015, Patricia delivered a Guest Lecture on Ethical Issues in Social Marketing to the postgraduate students of the Management MSc programmes at NUI Galway. In 2017, Patricia delivered a Guest Lecture on 'Social Marketing for Science Communication to the postgraduate students of the MSc. in Climate Change, Agriculture and Food Security at NUI Galway.